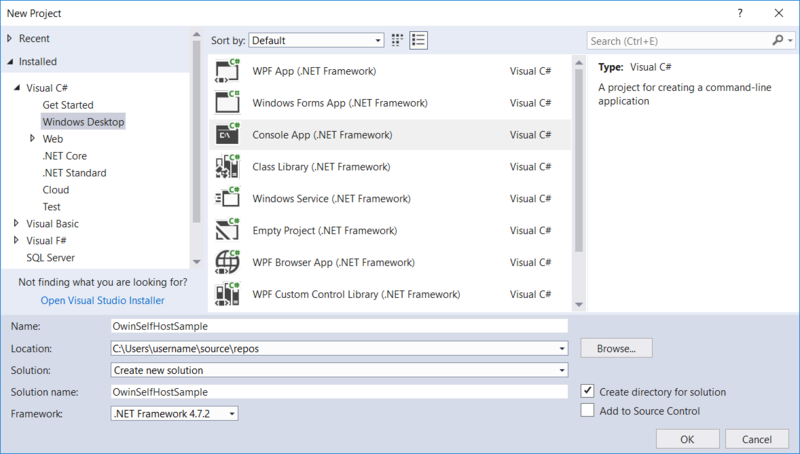 This tutorial shows how to host ASP.NET Web API in a console application, using OWIN to self-host the Web API framework. Open Web Interface for .NET (OWIN) defines an abstraction between .NET web servers and web applications. OWIN decouples the web application from the server, which makes OWIN ideal for self-hosting a web application in your own process, outside of IIS. You can find the complete source code for this tutorial at github.com/aspnet/samples. On the File menu, New, then select Project. From Installed, under Visual C#, select Windows Desktop and then select Console App (.Net Framework). Name the project "OwinSelfhostSample" and select OK. 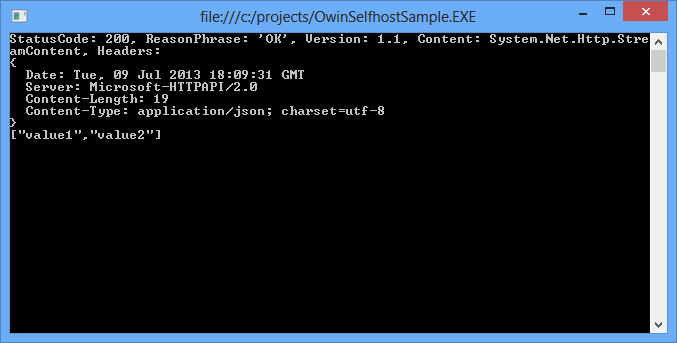 This will install the WebAPI OWIN selfhost package and all the required OWIN packages. In Solution Explorer, right-click the project and select Add / Class to add a new class. Name the class Startup. Next, add a Web API controller class. 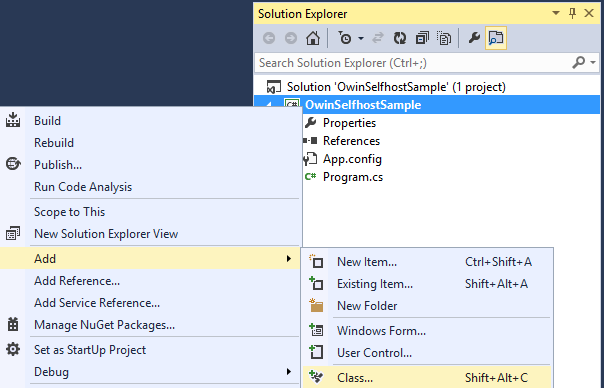 In Solution Explorer, right-click the project and select Add / Class to add a new class. Name the class ValuesController.